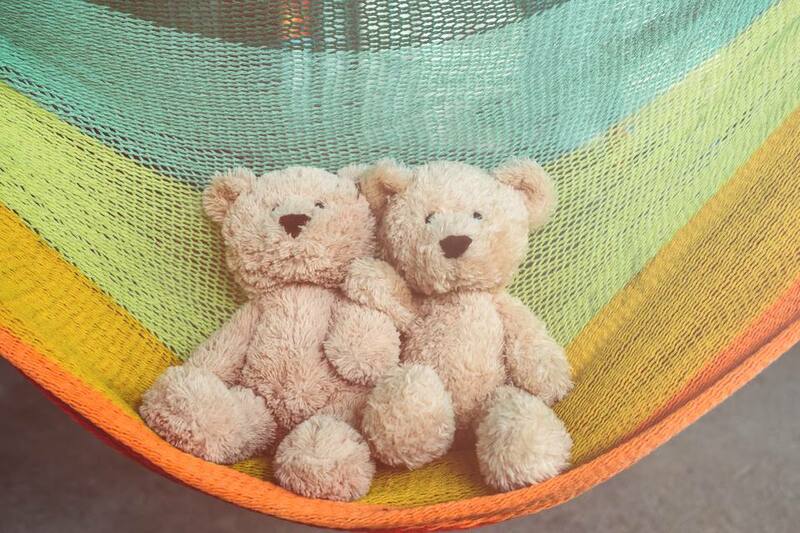 You can buy plain white mesh nets for stuffed animals in any baby store—but this one is about half of the price and can be made to coordinate with the playroom decor or in your kid's favorite color! 3.33 stitches and 5.33 rows to 1 inch in Lace Mesh Stitch. Approximately 55 inches wide by 27 inches high, unstretched. Row 2 (RS): K1, ssk, *yo, K2tog. ; Repeat from * to last 3 stitches, K2tog, K1. Row 4: K1, ssk, * ssk, yo. Repeat from * to last 3 stitches, K2tog, K1. Work these 4 rows until there are 6 stitches left. With a crochet hook, single crochet across cast on edge, make a chain 4 loop at the corner, then single crochet along triangle edge, make a chain 4 loop at the apex, single crochet along the third triangle edge and make a chain 4 loop in the bottom corner. Join with a slip stitch and fasten off. 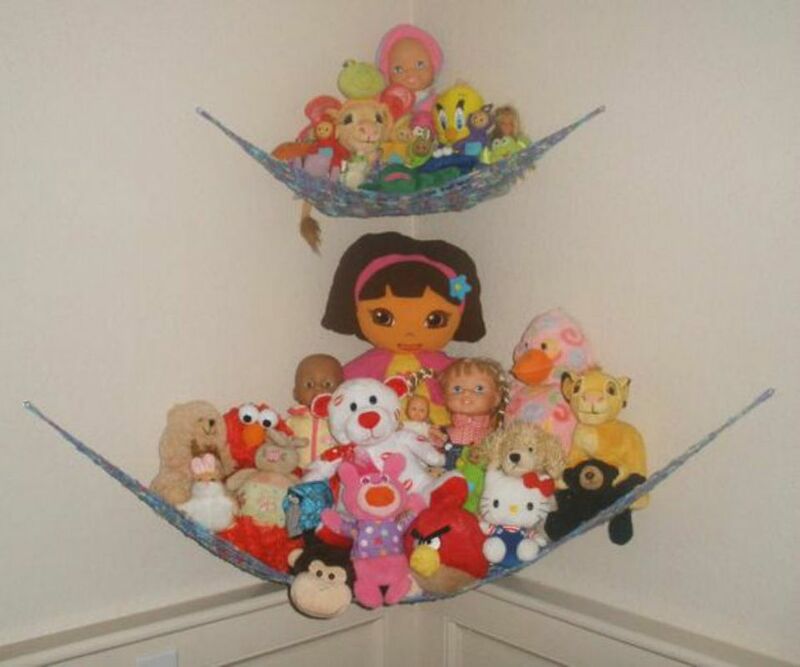 If you don't crochet, just use the corner holes in the mesh to hang up the hammock, or even thread ribbons through the holes and use those for hanging. Weave in all ends—blocking is not necessary as this will stretch on its own. Attach to the wall via picture hooks or adhesive wall hooks, even thumb tack will work. Knit a Bib a Kid Can't Take Off!